Do Ad Agencies Have a Future and, If So, What Does It Look Like? As seminars at the Cannes Advertising Festival this year revealed, the industry recognizes it is under assault from new technology and competitors. The wisest are re-inventing themselves as they help their clients to do the same, but much of the industry is still suffering from a “Mad Men” hangover. Mashable and BBHLabs wrote about the future of ad agencies this week, so I decided to join the fray. As seminars at the Cannes Advertising Festival this year revealed, there is no doubt that the industry recognizes it is under assault from new technology, competitors, and tools that threaten their critical relationships with major clients. 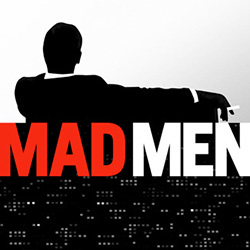 The wisest are rising to the challenge of change, re-inventing themselves as they help their clients to do the same, but much of the industry is still suffering from a Mad Men hangover. Here are a few things they must do. 1. AGENCIES MUST BECOME ARCHITECTS OF COMMUNITY: More and more consumers are reaching out directly to brands using tools like twitter and brands are responding. This cuts ad agencies out of the equation, eroding their traditional intermediary role especially as these exchanges increasingly take place in real-time. As such agencies must position themselves ahead of the social technology curve and serve to help brands moderate their conversation with consumers using these new tools in real time. 2. AGENCIES MUST BECOME REFEREES OF A SHARED STEWARDSHIP OF BRANDS: As the stewardship of a brand is now shared with consumers, agencies must communicate the value of their role to consumers. This necessitates that they demonstrate a similar appreciation of the importance of transparency, authenticity, and accountability. If agencies merely offer outdated (broadcast mentality) advertising, or worse, manipulative, duplicitous, or disingenuous marketing (even if it drives profit for the brand), consumers will reject the advertising and implicitly the need for an ad agency. 3. AGENCIES MUST APPLY THEIR CREATIVITY TO TECHNOLOGY AS WELL AS IDEAS: For years the creative departments of ad agencies have specialized in intellectual capital or their ability to create ideas rather than IP or new applications of technology. Those same creative departments must now be charged with applying their mind muscle to the use and development of software or technology applications (location based services and gaming to name but two). In short, the storytelling telling of Hollywood must meet the entrepreneurship of Silicon Valley. 4. AGENCIES MUST SELL VALUE PROPOSITIONS AS WELL AS DOLLAR VALUE: In an increasingly social marketplace one way brands can engage consumers with confidence (rather than simply talk at them about themselves) is to communicate on the basis of universal values that inform the contribution they make to society and consumers through their service or products. For instance it could be a healthier burger, volunteer service by their staff or a promotion that raises funds for a cause. I believe the future of profit is purpose and that consumers–fully aware of government debt, the overburden on philanthropy, and the multiple social challenges we face–are looking to their brands to play an increasingly important role in social change. Naturally this is a challenging and scary time for ad agencies which perhaps explains why they have been slower than necessary to establish a beachhead within the new social ecosystem. Fortunately brands such as Nike, Zappos, Starbucks, Pepsi, and Ford have set and example. It’s no surprise either that the top creative agencies are leading the way (Wieden & Kennedy with Old Spice, TBWA\Chiat\Day with the Pepsi Refresh Project and Pirate Pickings, Crispin Porter with Burger King, and BBH with BBHLabs) as that level of creativity is now the price of entry to succeed in this rapidly changing, consumer-driven marketplace. Let’s hope other ad agencies don’t just follow suit but commit to leadership so that the advertising industry can offer its culture of incredibly vibrant creativity to the next generation of brands and consumers. How do you think ad agencies are doing? Are they changing fast enough, and if not, why?